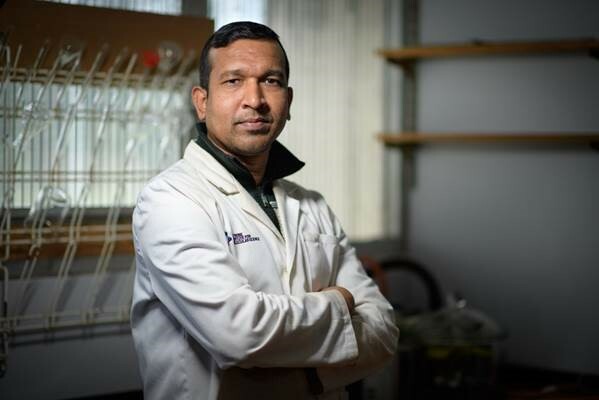 Aminul Islam talks to Dr Giselle Roberts about his path from Charailder, Bangladesh, to La Trobe Bendigo and a PhD in environmental chemistry. “I was born in Charailder, a small village 185km away from Dhaka, the capital of Bangladesh. In my boyhood, my prospective path through life was full of struggle and uncertainty. “I took her advice to heart, studied hard, and graduated with a Master of Science from the University of Dhaka. After several teaching positions, I also completed a Master of Philosophy at Bangladesh University of Engineering and Technology. “I arrived in Australia in 2015 to undertake a PhD with Dr Michael Angove, one of my greatest mentors and an expert on environmental chemistry. Rapid urbanisation has resulted in significant water pollution. Wastewater, for example, contains heavy metals, organic dyes, phosphorous compounds and humic substances – and exposure can have harmful effects on human wellness and aquatic life.